David Schankweiler is the founder, and former CEO and owner of Journal Multimedia, a multi-titled, multi-media publishing, print, web, video, research and events company including the Central Penn Business Journal, NJBIZ, Lehigh Valley Business, Central Penn Parent, Pet Age, Best Companies Group, FGV Media, and various other annual publications, directories and events. After 32 years of growing the company, Dave sold the business to New Media Inc. in 2016. 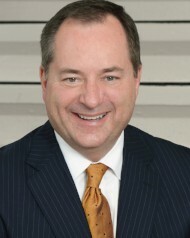 Dave sits on several for-profit company boards and has had leadership roles in several national industry associations. Dave has served his hometown in numerous nonprofit volunteer positions and leadership roles. His proudest community achievement was serving as the founding board chair for 10 years for a new University in Harrisburg, Pennsylvania, The Harrisburg University of Science and Technology. In its eleventh year, the school now boasts enrollment of 3,000 undergraduate and graduate students. Dave lives in Mechanicsburg, Pennsylvania with his wife Donna. They are the parents of Kate, Parker and Drew. Dave and Donna worked together in the business for 28 of the 32 years.